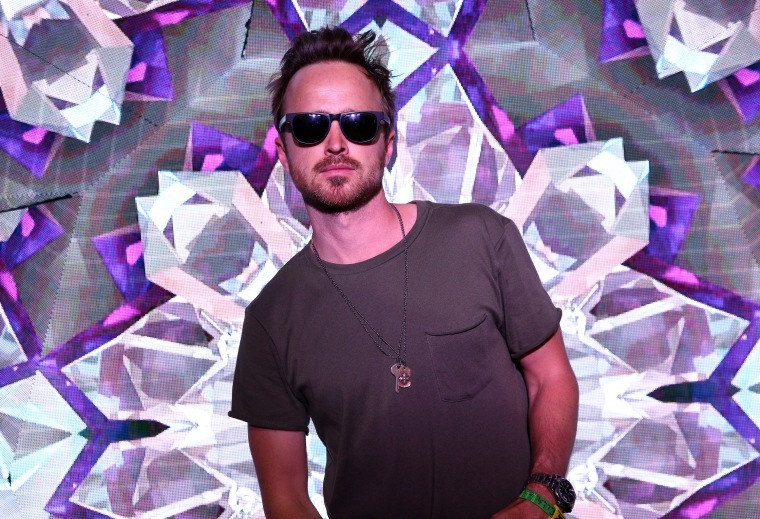 The Breaking Bad star visited Fallon to share a hilarious story about the two music superstars gushing over him. Back in 2014, we found out that Rihanna was a fan of Breaking Bad star Aaron Paul after the bad gal tweeted out a photo with Paul captioned, "My life has been completed!!! #Pinkman4President." We now know the full story as Paul dropped by The Tonight Show Starring Jimmy Fallon while promoting his upcoming Hulu series The Path to share the full story of how the two met, and the hilarious tale includes a separate account of how Paul met another music superstar: Drake. 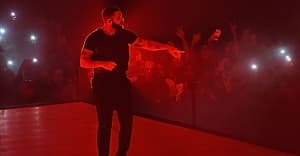 During a conversation with the host, Paul shared that he met Drake randomly in a parking garage in Paris. After stepping out of his car, Paul saw Drizzy about to step into a van and said, "Oh my god, there's Drake." He wasn't the only one that was excited, as Drake ran over and gave him a hug. "He runs over and gives me the biggest hug, and told me that he loves me," Paul said. The actor also shared that Drake told him that he had put Rihanna on to Breaking Bad. A little while later — after explaining how much he loves RiRi — Paul told a similar story of meeting Rihanna. "I was at some event and an SUV was driving by me, and it stops and the back door opens, and it's Rihanna," He said. "She jumps out, and literally starts running towards me. She threw her arms around me and said, 'I had to meet you, I needed proof of this.' Then paparazzi took some pictures of us." Things didn't end there as Paul revealed that he ran into Rihanna again apparently, this time at a Super Bowl party that she was performing at. "She walks to the end of the catwalk. I was on the second level of this small little venue. Then she starts singing 'Stay' directly to me." Paul cheekily shared that although he wasn't totally sure if she was actually singing at him, that is the version of the story he tells people.